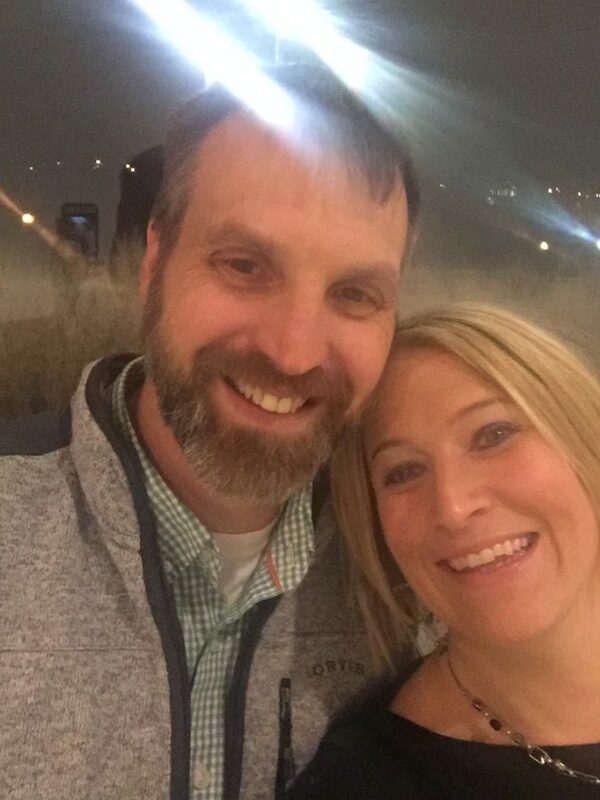 In honor of Valentines this week I thought I would write a little bit about my love, my hubby Jeff. People will often ask me if he does Pilates and the answer is yes, but probably not as often as he would like. Which of course seems like a shame since I own a studio and spend my life teaching and at the studio. Jeff first started Pilates when I started the teaching training program 18 plus years ago. He was my first guinea pig! I had picked him to be my practice teaching client for the program because I thought it would be fun to teach him and we were living together so clearly finding time to practice would be easy. It turns out this was not the case and that was when it was just the two of us, no kids. We were both working full time and juggling schedules and we found that it was really hard to consistently get sessions in and really easy to just skip it on days when other commitments came up or one of us was tired or unmotivated. So I decided to pick a new practice client because I needed to have someone consistent to get through my practice hours with. Fast forward 18 years and we seem to have the same problem when it comes to him getting in for Pilates sessions! Over the years Jeff has definitely snuck in to do Pilates with me and at the studio. He even went through part of my teacher training program thinking it would be helpful for me to have an extra teacher at the studio. At the time that just didn’t work out because it was too chaotic trying to juggle him getting the training hours in with kids’ schedules and his work schedule. 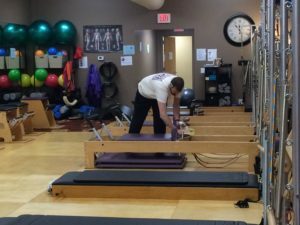 Now that our kids are older and we have a little more freedom in our time he has started back doing his teacher training hours again and he’s hoping to be able to eventually teach some mens only Pilates classes at RCP! Like most people our lives seem jam packed with work, kids activities, family time and along the way trying to take care of our own health by adding in some healthy movement and exercise. As a studio owner’s wife, Jeff has inherited the job of studio maintenance guy and most of his time in the studio is when I need help with projects or something is broken! One of our goals for Jeff is to arrange our schedules so he can get into the studio at least once a week for a session with me or a class. For the most part we have been making it work and it’s been fun! I love that I get to help him do something that is good for his health, but more than that I love the time we get to spend together when we do his sessions. When we first started this I realized how little time we get to spend together that doesn’t involve the kids and home projects. It’s kind of funny, but our Pilates time kind of feels like date nights. It’s so nice to get to spend an entire session focused on Pilates and movement and nothing else…no phones to distract us, no kids yelling Mom! Dad!, etc. Want to introduce your spouse to Pilates and try a Pilates date? 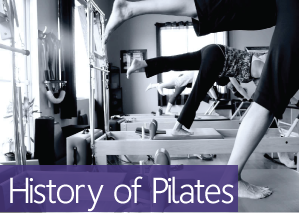 Schedule a complimentary private session to introduce him or her to Pilates! Want to try a class together? This month’s free Life Inspired Community class is a free Pilates Couples class on February 9th at 6 pm. This class is designed to have everyone moving safely (no crazy hard exercises that will make newbies feel uncomfortable!) and having fun while exploring the Pilates method.